Apparently today is awesome covers day. Here's one I'm UBER excited for. As you can see this image is pretty terrible quality, but it still gets the point across. I'm a little on the fence with this one. I think her position is a little... awkward. I can't put my finger on exactly why I think that though. Maybe it's the straightness of her arm? The way she's balanced on her toes? Dunno. Overall, though I love the idea and the blue. Hmm, there IS something a little weird. I think it's that her foot is so dainty when it's just broken through glass. But I like the idea a lot, and I'm excited that they're continuing the theme. Did you see the cover of "Goliath?" It was ALSO released today! The glass isn't shattering in a good way. Also, I keep thinking she's going to cut herself up something awful. Oh! She's not bracing herself the right way. The vectors aren't opposites. If she were going to be punching up that way with sufficient force to break the glass, she should be bracing herself farther down. Though really, it would be tons easier to lay on her back and kick perpendicular to the ground with both heels. Perhaps safer, even. Eh.... I dunno, I think it might be because of her casual clothing, but it looks like a yoga pose or something! Not really a fan, I liked the cover for Matched much better. exciting to see all these new covers floating around though! It does look a bit off. Her whole pose looks really uncomfortable. I liked the cover for Matched better, it looked balanced and really lovely. 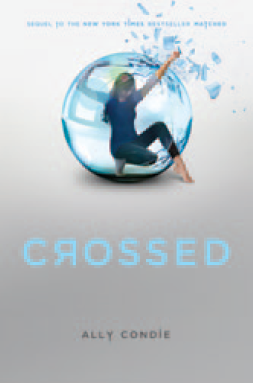 I like that they're trying to mix it up a bit but the cover for Crossed doesn't really appeal to me that much. 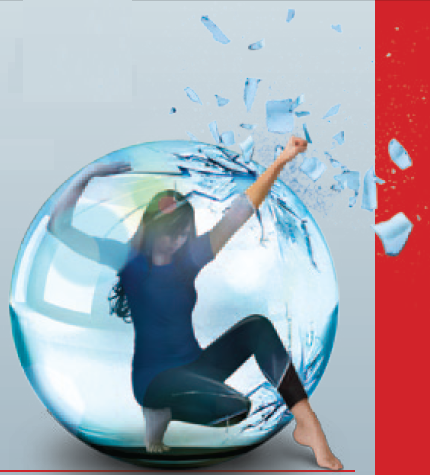 I think the casual clothes and the concept of breaking the glass are great, but the position of the body isn't natural at all... it looks more deliberately calculated and posed than artistically inspired, in my opinion, and I think Q is right about her position not even making sense considering the way that she is punching the glass. Is this definitely the final cover, or is there a chance of editing before the release? I hope that they take the feedback of Matched fans into consideration on this one. I don't want to be mean and I love the concept and the continuity the cover provides, but when I first saw it, I thought it was from a create a cover contest. I will still read the book and am super excited for it, just not crazy about the cover.